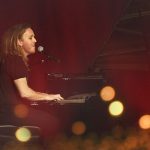 Blog Who is your favourite Aussie female comedian? Cal Wilson – Like many great Aussies before her, Cal was born in New Zealand. She’s been on just about every comedy TV program in Australia, including Spicks & Specks, Rove Live, Good News Week, and most recently, Have you Been Paying Attention? Cal is managed by Token. Bev Killick – What can’t Bev do? Stand-up comedian, actor, and zombie killer, Bev is a seasoned comedian, that is bold and sassy onstage and off. Listen to how she got into comedy on her podcast interview. Bev is managed by A-List. Celia Pacquola – Radio, television and stage. Celia applies her comedic flare to multiple mediums, and makes a lovely couple with Luke McGregor on ‘Rosehaven‘. Celia is managed by Token. Kitty Flanagan – Whether it’s Full Frontal or the Weekly with Charlie Pickering, Kitty loves satire. And a nice tie. She’s currently on an Australia wide stand-up comedy tour and is managed by A-List. Hannah Gadsby – You’ll remember Hannah from Adam Hill’s In Gordon Street Tonight, and her role as ‘Hannah’ in Josh Thomas’ show Please Like Me. Hannah is managed by Token. Demi Lardner – Winner of 2013 RAW Comedy Competiion, Demi has a string of awards to her name. A year later, she performed her first solo show called ‘Birds with Human Lips’. Demi is managed by Buxstock. Tegan Higginbotham – Tegan has had a regular presence on television, including on shows ‘Have You Been Paying Attention?’, The Project and Foxtel’s Screen. She’s managed by Creative Representation. Denise Scott – Denise has over 30 years of acting experience and is currently the voice of Travel Guides on Nine, and touring the country with Judith Lucy in their runaway live smash ‘Disappointments’. She is managed by Token. Sarah Kendall – Sarah won Raw Comedy in 1998, and moved from her Newcastle, NSW, Sarah to London in 2000. Today, Sarah is a regular contestant on BBC Radio 4’s ‘The News Quiz’. Sarah is managed by Token. 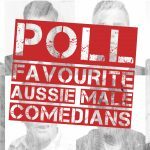 Next Story » Who is your favourite Aussie male comedian?